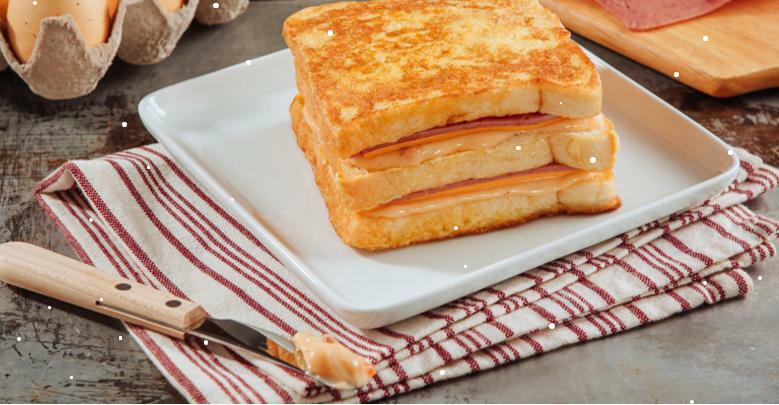 Try our Monte Cristo recipe sandwich that's filled with all the cheese and meaty goodness. Made more special by Lady's Choice Ham Spread. Spread Lady’s Choice Ham Spread on bread slices then layer cheese, and ham in between. Top with the last slice of bread. In a shallow dish, mix together egg, milk, and nutmeg. Coat the sandwich with the mixture by dipping all sides. Melt butter in a pan then add the sandwich. Turn to brown all sides. Dust with confectioner’s sugar before serving.